Actress and fashion icon extraordinaire Sonam Kapoor’s wedding to Delhi businessman and style maven Anand Ahuja promises to be a fabulously fashionable affair. 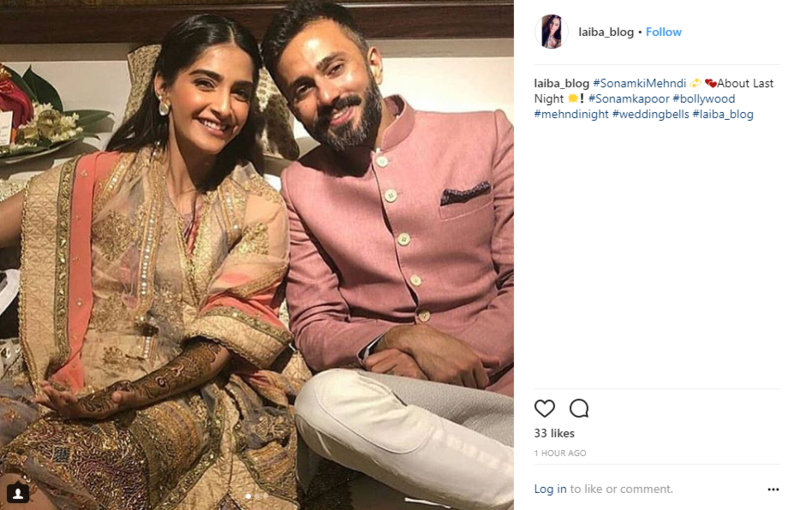 Both Sonam and Anand express themselves fluently through their sartorial choices and while we are eagerly awaiting the nuptials that will be held on 8th May, photographs from the Mehendi ceremony have started trickling in on social media and the couple look poised and adorable. 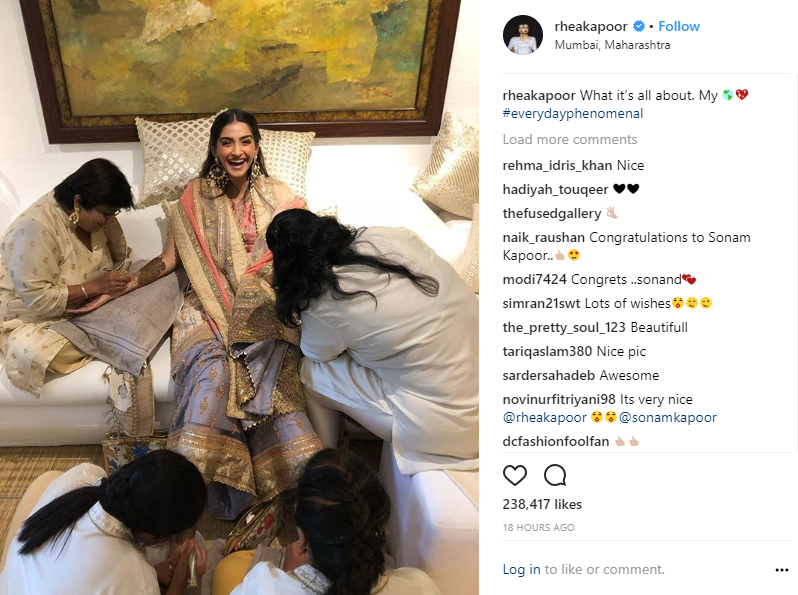 In an image shared by the actress’ sister Rhea Kapoor, we can see Sonam show off her elegant mehendi designs, dressed in a peach and lavender outfit embellished with zardozi detailing in muted gold. In more images circulating on social media, we see the bride-to-be with her beau in pastels in peach, lavender and lilac that seem perfect for the summer. 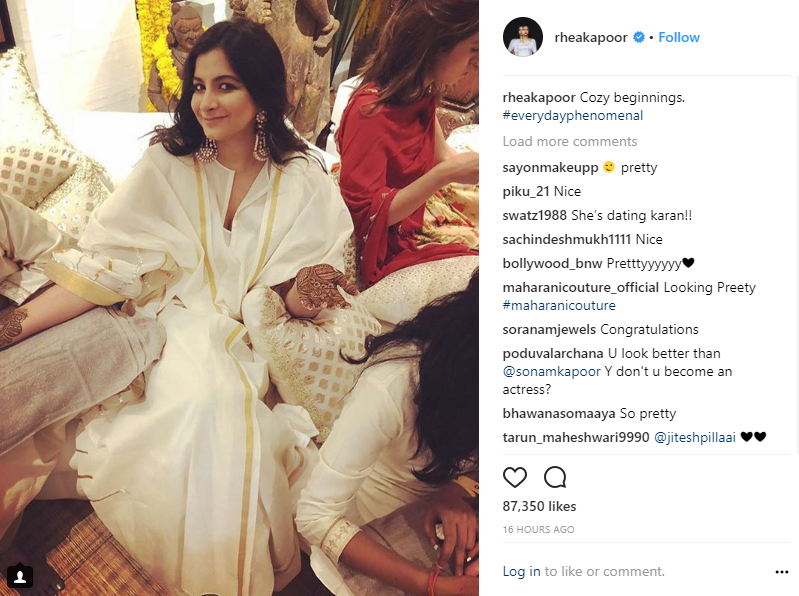 Rhea Kapoor looked relaxed and happy in a breezy white and gold ethnic ensemble by Abu Jani and Sandeep Khosla. 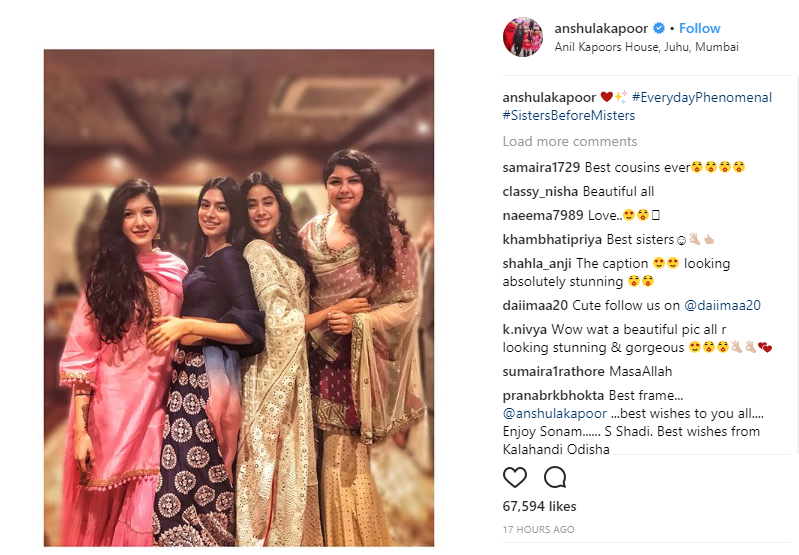 Also, spotted at the mehendi were the gang of Kapoor cousins Anshula, Shanaya, Jhanvi and Khushi Kapoor. 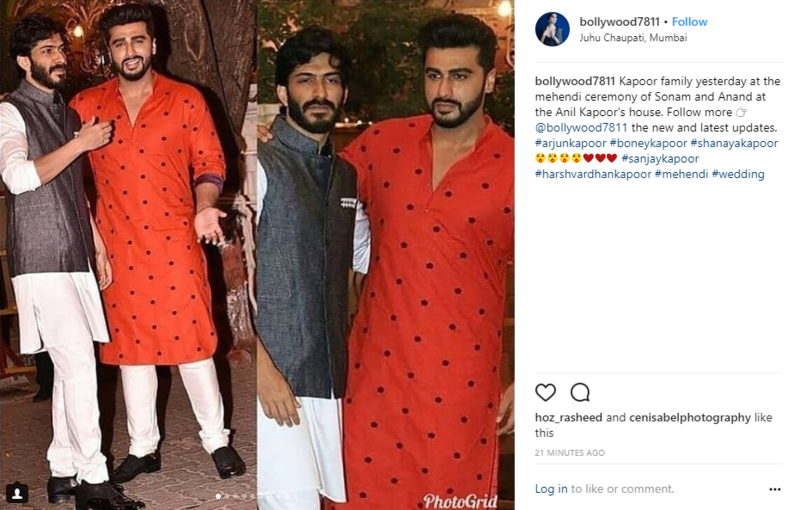 Sonam’s brother Harshvardhan Kapoor and cousin Arjun Kapoor could also be seen enjoying the ceremony. 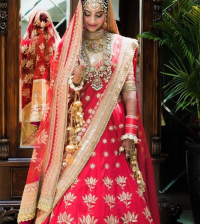 Rumour mills are abuzz that the actress will be donning creations by her favourites Abu Jani Sandeep Khosla, Anamika Khanna and Anuradha Vakil and we for one, can’t wait to see Sonam in her bridal glory!